Space? What Space – Physical/Virtual? The first roadblock that you often run into when opening a store is the requirement for actual space. This might be a store in a market, a small basement place or even a part of your own house. This is where online stores score the maximum points. It lets you display all your products (and more!) without the need of an inch of space. Because, all your products are online! Remember the story you heard about stocking up on a product and then not being able to sell it and the entire investment going to waste? Well, the good news is, that doesn’t happen in the online space. The only thing that is often necessary to showcase your products are details and some nice looking snapshots. Once you get an order for it, get it sourced – it’s that simple. No more stockpiling and maintenance. Sell only when the order comes in, and not a moment before. Transactions for your products are made easy through payment gateways and Cash on Delivery modules. It also gives a customer the flexibility of payment, thus making it easier to make a sale. With completely secure payment options, and the sheer convenience of the entire system, more and more people are starting to trust the online retail system versus traditional ones. And when one is shopping online, you wouldn’t want them to miss your product now, would you? Traditional shops are often limited to select areas – unless it involves additional investments and multiple branches. With online shopping, you do not need to trouble with all of that. Not only are your products available across the country, but literally across the world. A little time spent on the internet, and you would be surprised to see where your sales are coming from! Online stores are a great way of making your business go global and literally multiply your profits. Have you crossed a public place and found the road strewn with handouts and pamphlets? Yeah, that’s what mostly happens with promotions. However, online promotions are different. When you promote or business online, it is only seen by people who might be interested either in your business or product or both. As a result, your online spend on promotions have a greater chance of getting you conversions versus traditional models. What’s more, the metrics of the online sphere help you gauge exactly how many people saw your promotions and what was the conversion, thus helping you plan your spends wisely. There are several reasons that one can quote for getting your shop online. It’s easy to manage, maintain and most importantly, doesn’t need to close at all! 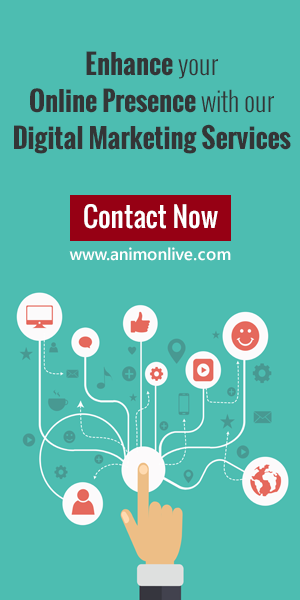 To know more about setting up an online shop or promoting your products online, get in touch with Animon Live today. Stay tuned for more great articles about the digital world!